Who doesn’t know Giorgio Armani? The Italian fashion house is much well-known throughout the world for their premium products. They have released various clothing, leather goods, shoes, watches, and even perfumes. Speaking of Giorgio Armani’s perfumes, you may have met Acqua Di Gio and Armani Code. These two products are among Giorgio Armani’s most popular fragrances. Hence, as the effect, people often get confused choosing between these two. 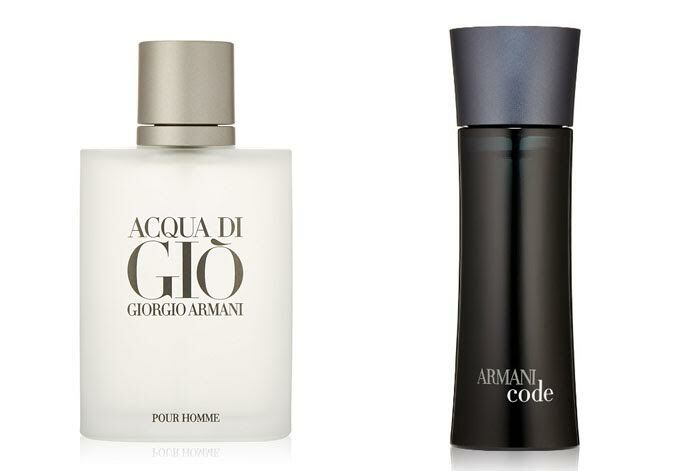 Should you go with Acqua Di Gio or Armani Code? Let’s see below! On the other hand, Armani Code is a completely different scent. It is a very masculine, man scent. It can be considered as a spicy oriental fragrance. The scent is not too complicated, yet bold and confident. It features the top notes of lemon and bergamot which quickly transform into the earthly sweet middle notes of olive blossom and star anise. The leather scent from the base notes is especially strong and solid, empowering your presence and confidence, followed by scents of tobacco and tonka bean. Armani Code is excellent if you want to appear firm and masculine. The silage and longevity are moderate, just a little bit heavier than Acqua Di Gio. As you can see, Acqua Di Gio and Armani Code are two very different scents. If you prefer something light and fresh, Acqua Di Gio is the way to go. For a strong masculine scent, Armani Code should be your choice.